Alexander George came to the holistic arts in the final third of a 25-year career as a ballet and modern dancer, teacher and choreographer. In 1980 he began the study of holistic massage at the International School of Professional Bodywork in San Diego, completing the 1000 Hour Massage Therapist Training in 1983 and Associate of Science degree in 2004. Alexander qualified as a Trager Practitioner in 1986, subsequently studying with Milton Trager himself. In 1990 he became a Watsu Practitioner at Harbin Hot Springs in northern California under the tutelage of Harold Dull, the originator of Watsu. In 1993 he studied WaterDance from one of its co-founders, Arjana Brunschwiler. Alexander went on to develop the techniques of Healing Dance and Flowing Touch Massage. He is a certified instructor of the Worldwide Aquatic Bodywork Association, and for nine years taught at the School of Shiatsu and Massage at Harbin Hot Springs. Alexander has led over 300 week-long 50-hour intensives in Anatomy, Massage, Barefoot Shiatsu, Watsu, Healing Dance and WaterDance. Alexander presently leads trainings in Germany, Holland, Italy, France, Portugal and the US. 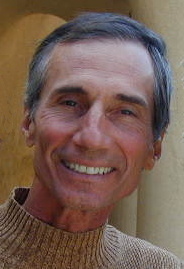 He has written over seventy-five articles on teaching and aquatic bodywork, a selection of which are available for free download at www.aquaticwritings.com. The official web site for Healing Dance is www.healingdance.org. Alexander lives in Germany with his wife, Kathrin. 10185 total hours ...Includes hours of 210 WABA water classes taught.